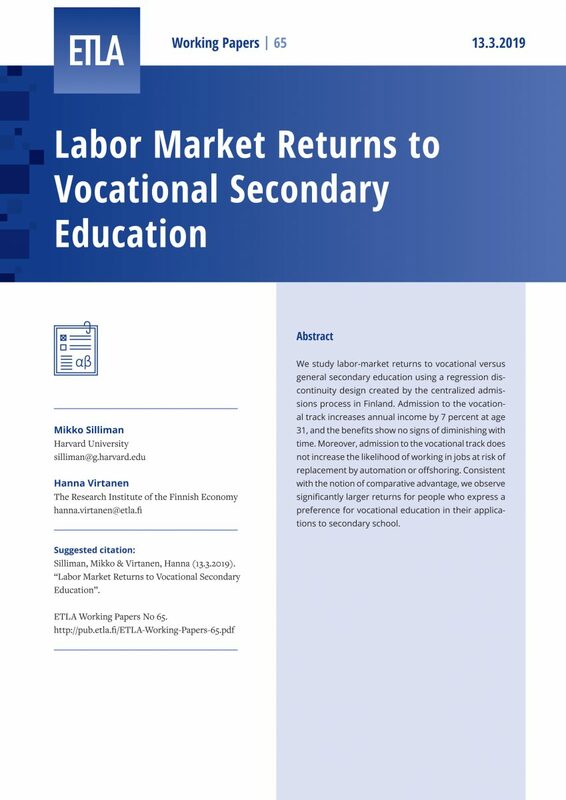 We study labor-market returns to vocational versus general secondary education using a regression discontinuity design created by the centralized admissions process in Finland. Admission to the vocational track increases annual income by 7 percent at age 31, and the benefits show no signs of diminishing with time. Moreover, admission to the vocational track does not increase the likelihood of working in jobs at risk of replacement by automation or offshoring. Consistent with the notion of comparative advantage, we observe significantly larger returns for people who express a preference for vocational education in their applications to secondary school.